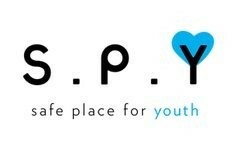 Join other KI members to serve and eat food with homeless youth at Safe Place for Youth (SPY). Safe Place for Youth (SPY) is a drop-in center in Venice for homeless youth ages 12-25, can go for food, case management, healthcare, job counseling and more. On their own and often living on the streets, many come from abusive homes or foster care. You can get involved at one of our barbecues where we prepare and serve lunch to the youth at the center. Space is limited; you must sign up to attend.